Effective dealer inquiry form with required fields. Allow to set custom text to form fields and titles. 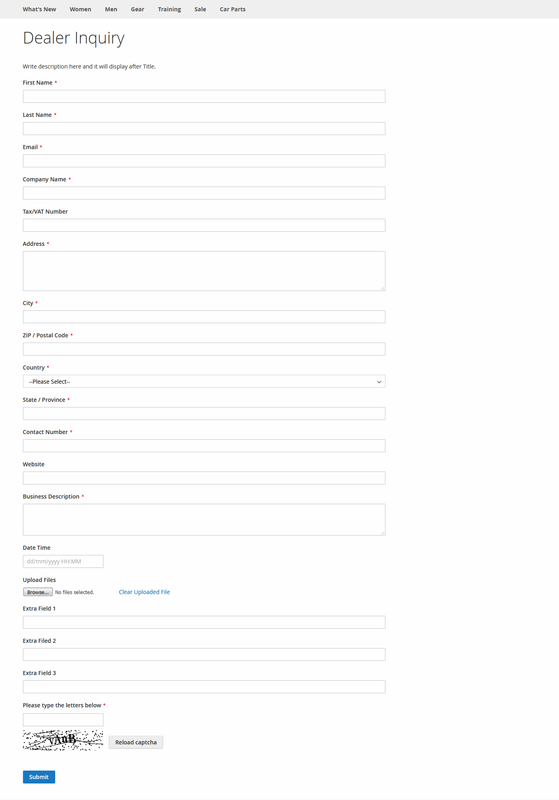 Manage form fields from admin configuration. 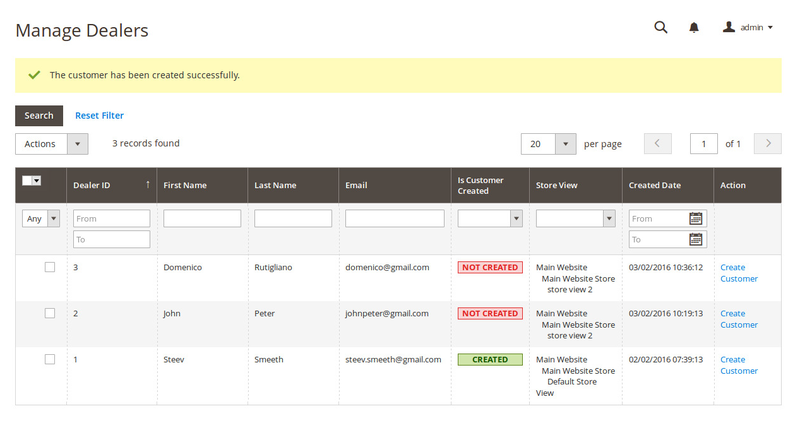 Create customers based on selected customer group from admin. Manage custom URL key store view wise. 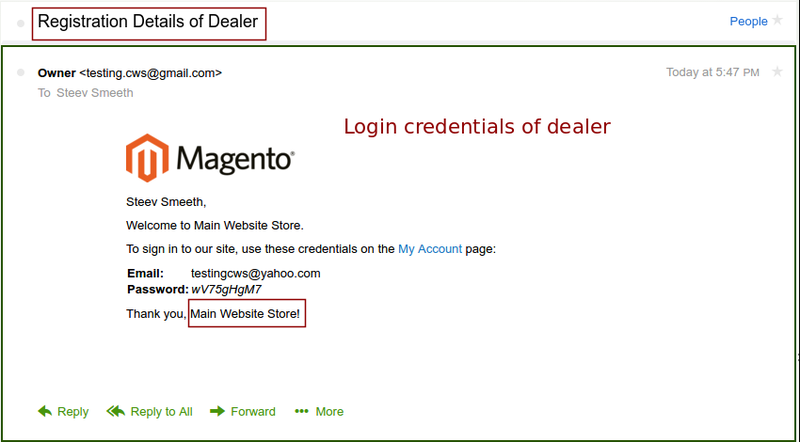 Dealer Inquiry extension for Magento 2 is very helpful for register new dealers into magento store. Customer fill this dealer inquiry form and submit it then customer get the thank you email and admin get new dealer account email. 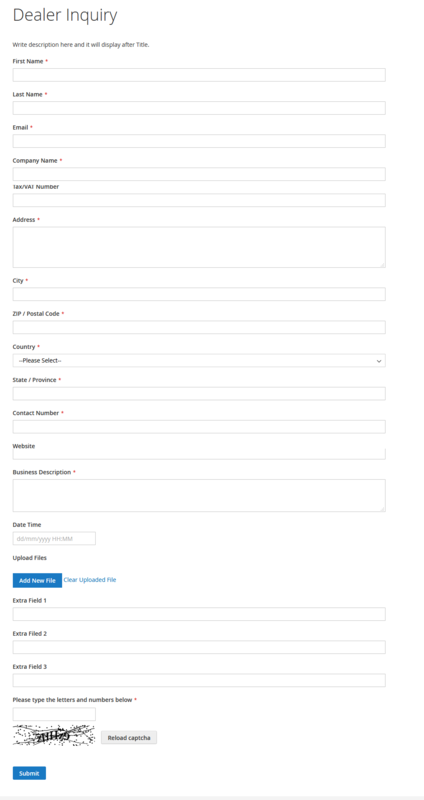 Into admin panel, it will show dealer form complete details so admin can view it and create customer account by clicking on Create Account button so it will create account into magento store then customer can login into your magento store. 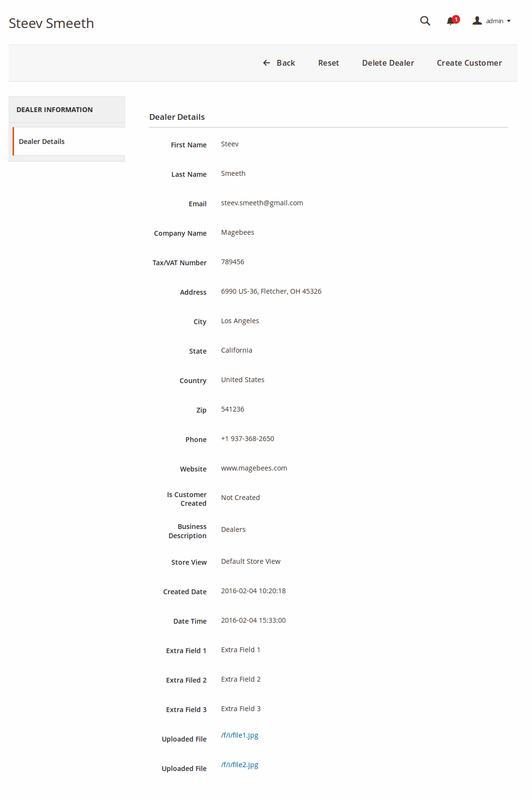 You can also manage all the dealer inquiry form fields and also it labels from the admin panel. Manage details of dealers from "Manage Dealers" Section. 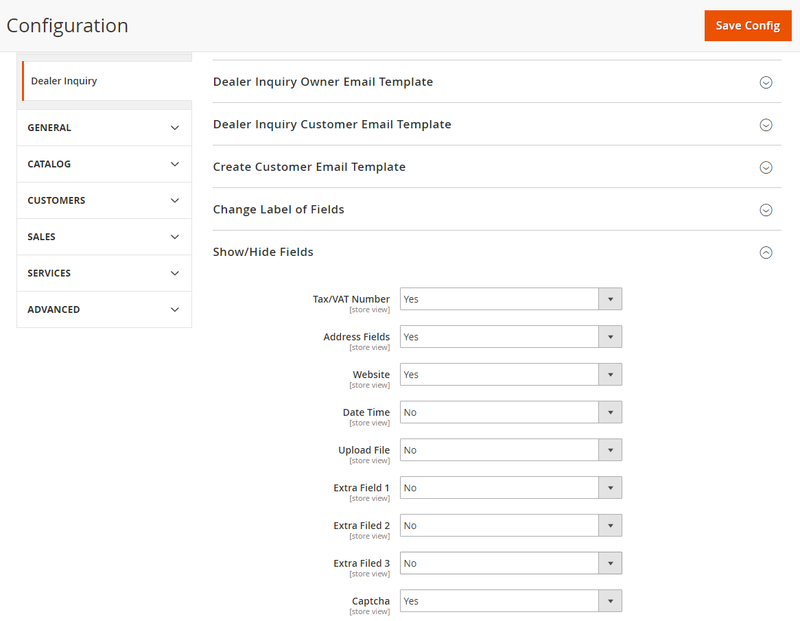 Admin can create customer from Dealer Inquiries page. 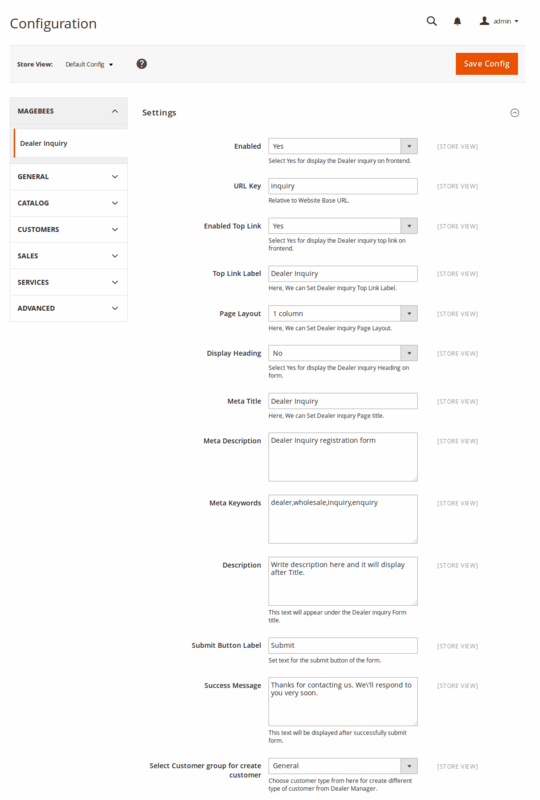 Show/Hide optional form fields and set labels of form fields, page heading, page description, top link, email subjects. 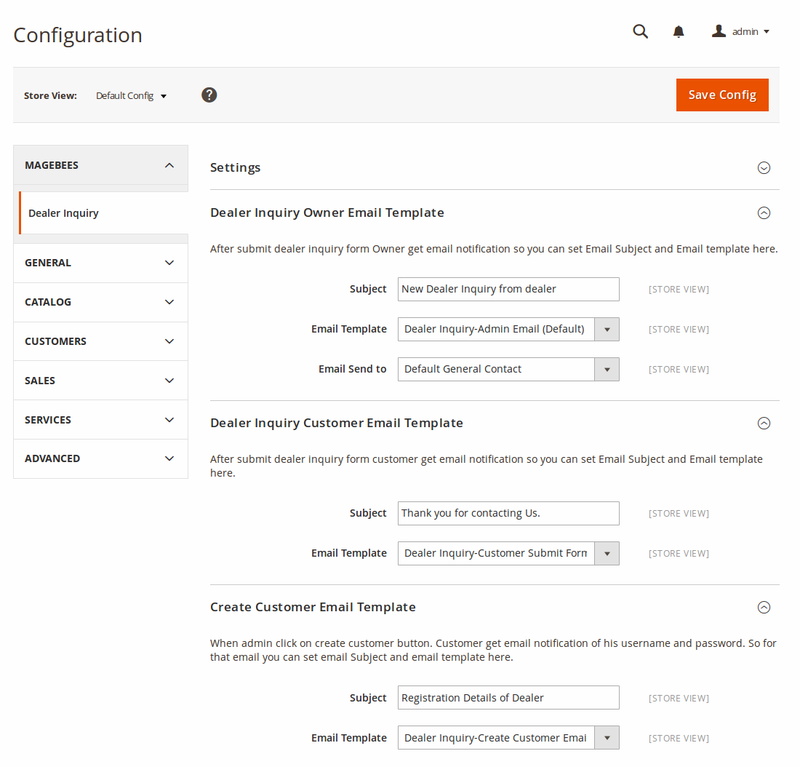 Option for select customer group for create customer from configuration. Support Multiple store and websites. Dependant drop down for state based on country. I couldn't discover something like this available. We haven't got any issues with installation, in addition, now we totally happy with it and with the outcomes. Exceptionally happy with the dealer inquiry extension and support. 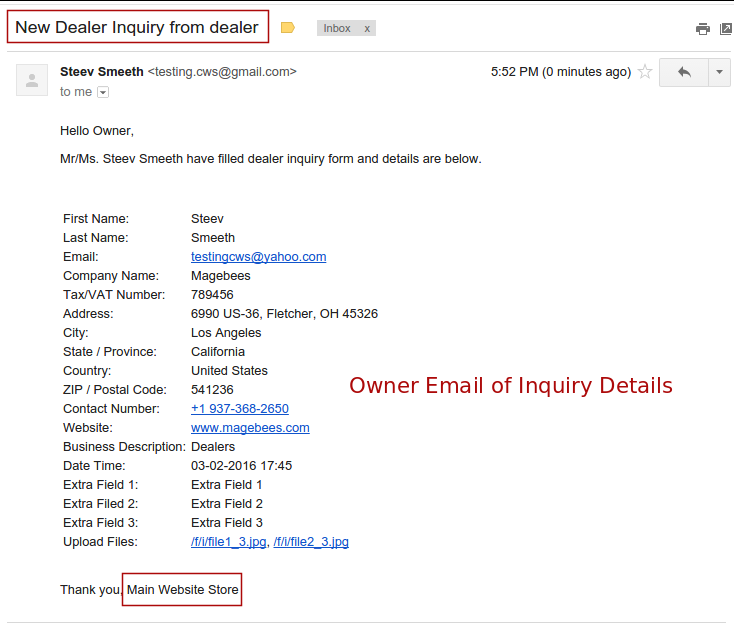 We utilize this extension to enable dealer inquiries and we got much benefit from it. It works as described. This extension works exactly as described and was exactly what we required. The developer support has been amazing. Excellent features and Extraordinary customer service. Got the features which we are looking for our store. Works like a charm. 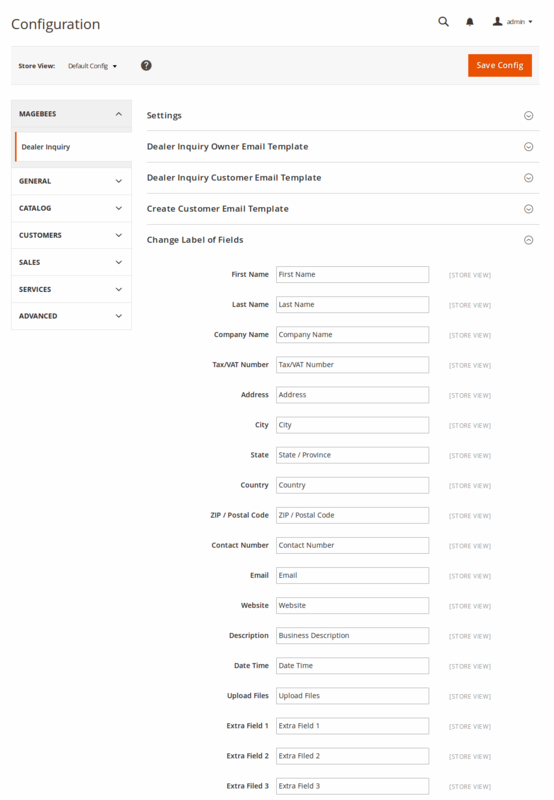 Easily configure this extension in magento 2.0 and give lot of option in the admin. it will work as explain in the descriptions. 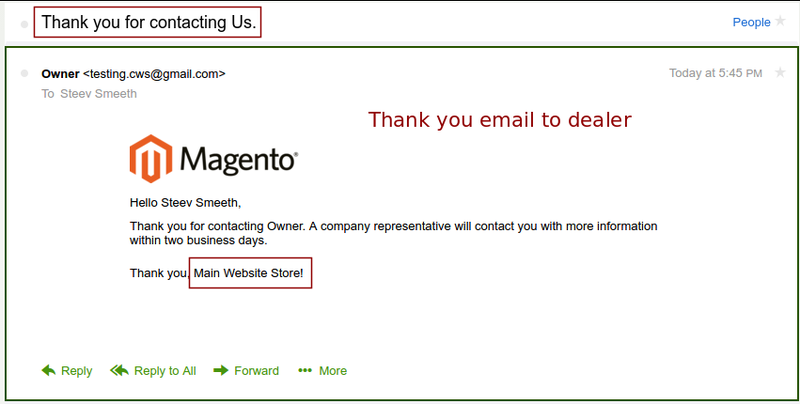 Compatibility: Magento CE 2.0.x - 2.1.x. Q-1 :I have Installed Dealer Inquiry Extension. But got following error. Ans :Run "php bin/magento setup:upgrade" command to your terminal or command prompt. Please see installation steps for that. 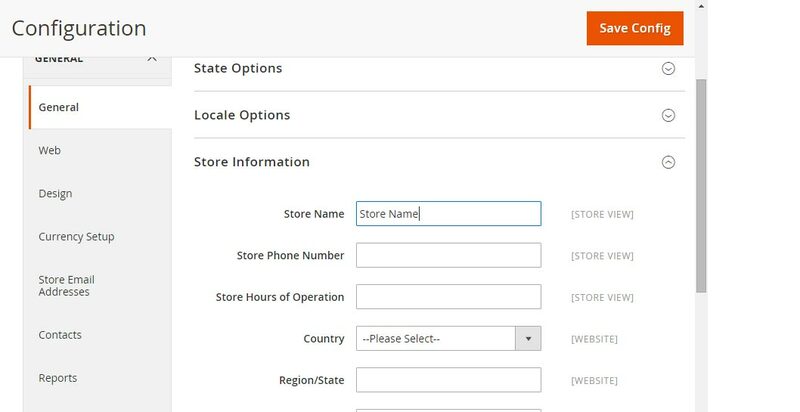 Q-2 :Store Name not displayed in email. Ans :Go to STORES → Configuration → General → General Tab. Q-3 :We have implemented dealer inquiry extension but admin did not get mail when customer submits the dealer inquiry form. Can please let me know how admin can get the mail. Ans :Go to STORES → Configuration → General → Store Email Addresses Tab. Q-4 :I enable the captcha but not display on form. Ans :Go to STORES → Configuration → CUSTOMERS → Customer Configuration Tab. 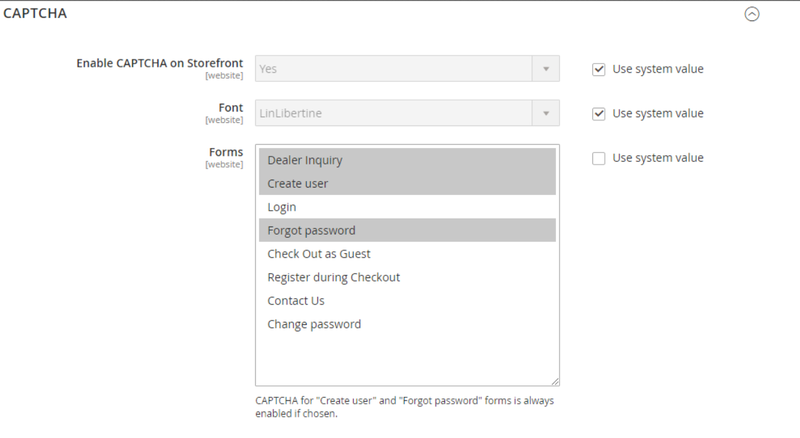 In CAPTCHA Section >> Forms >> “Dealer Inquiry” must be selected for your store.